Understanding Project Management Knowledge Areas is vital if you plan to take PMP Project Management Professional certification exam by PMI (Project Management Institute). 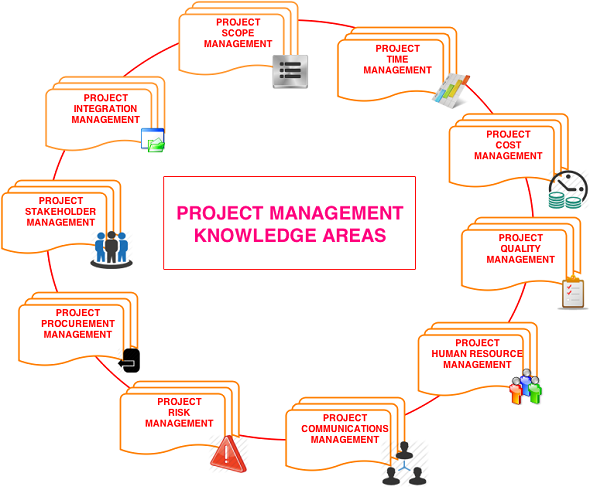 Each Project Management Knowledge Areas include numerous project management processes. Total number of processes covered by 10 knowledge areas is 47. All these processes are explained in detail in PMBOK 5th edition. The Project Stakeholder Management is the newest knowledge area added in the latest edition to PMI practices. It is very important to memorize the Knowledge Area names. Keep it in mind that they all start with "Project" and end with "Management"
What are 6 Project Constraints in PMP Exam?